Land for sale in a dominant position for the construction of 2 (two) VILLETTE free on three sides 120 sqm cu independent entrance with basement, project approved and municipal charges paid, CIVIL HOUSING – RESIDENTIAL, Portico sqm 30 , Garden, Car-Port, south / east exposure, project in class A, Photovoltaic, Solar panels for hot water, are the services of: Aqueduct, Electricity, Telecom, Water Floor existing for realization private well, possible realization of Swimming pool underground. 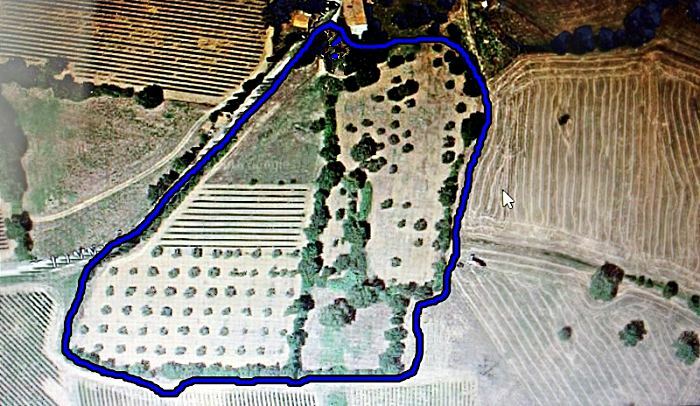 The agricultural land that surrounds the building is about 1.5 H where there are: vineyard (in the heart of the Morellino DOC) with irrigation system – south / east exposure, 70 olive trees, orchard. The perimeter of the property is characterized by traditional walls in dry stones and cypress trees that recall the typical avenue that leads to Bolgheri. Located in the Municipality of Magliano in Tuscany, close to the city of Grosseto, to all services, to the most prestigious seaside resorts such as: Argentario, Talamone, Castiglione della Pescaia, Marina di Grosseto, Alberese-Uccellina Natural Park, Terme di Saturnia, Monte Amiata; easy road system, asphalted road, not isolated, enchanting fairy place, breathtaking view, surrounded by nature among olive groves vineyards and cork of the Maremma landscape. The Project is elaborated taking into account the natural characteristics of the territory and of the solar exposure; the housing units have been designed as Open Space with large windows facing south / east – south / west, allowing the pleasure of enjoying a wonderful view towards the Maremma hills and at the same time enjoying natural light.